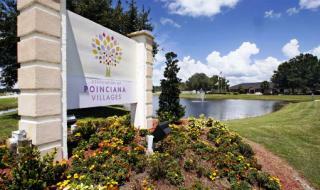 The civic nonprofit Friends of Poinciana Villages seems to making headway in its stated goal to have the homeowners’ association controlled by homeowners. During Tuesday night’s Association of Poinciana Villages election, FOPV-backed Victor Destremps ran unopposed to win a seat for Village Five. He was appointed to the master board Wednesday morning. APV is a community of nearly 27,000 homes that spans parts of Polk and Osceola counties. The homeowners’ association is broken up into nine villages with each governed by a five-member board. One member from each village board is selected to serve on APV’s master board. FOPV-backed homeowners such as Destremps, Peter Jolly, Martin Negron and Annette Brown-Best have all filed legal action against the HOA and developer AV Homes on claims of vote manipulation and breach of contract. An arbitration case filed and won by Negron with the Department of Professional Business Regulation last year voided the results of the February 2017 election and forced a “redo” in August. Following that election, FOPV-backed Elizabeth Cousins became the master-board representative for Village One. AV Homes is allowed to cast votes for undeveloped lots in the community based on the number of homes that could be built there. FOPV’s contention is that the vote numbers are greater than the number of homes that could be built when considering land-use and conservation regulations. FOPV claims the developer uses votes to appoint employees and those favorable to AV Homes to board positions. Nearly 1,400 block votes were cast during Tuesday night’s election as opposed to about 9,900 in August. Tom Slaten, a lawyer for APV, said that’s simply because there were fewer seats available. Laytham said the arbitration and a court ruling from last year mandate that the developer be given maximum density votes, only as currently amended by the county. Other winners Tuesday night included Felix Gratopp, with Canadian-based investment company Fairhomes Property, who won the only available seat for Village Three and one of two available seats for Village Seven. The other winner for Village Seven was Shane Merali, a corporate representative for Tuscany Preserve. Both of those men received more than 1,000 block votes. While it is acceptable for candidates like Gratopp to serve on several village boards, Slaten said representing multiple villages on the master board is a practice that is usually avoided. Elections for Village One, which had one seat available, and Village Eight, which had two seats available, were voided because the number of votes cast equaled less than 10 percent of the number of homes for each village. That means the previous board members will retain their seats, which includes Gratopp for Village One. Laytham said enforcing the quorum rule is something that wasn’t practiced since August’s election. Slaten, who has been overseeing APV elections since 2016, said that’s not the case. “There’s always been a quorum requirement,” Slaten said. Laytham said he’s encouraged that fewer block votes are being cast and noted that having two FOPV-backed master-board members allows the civic group to make some inquiries it otherwise couldn’t. He thinks litigation filed against APV is forcing the HOA to be more transparent. Current litigation being heard in the 10th Judicial Circuit was filed by Destremps, Jolly and Brown-Best. Among the claims is that APV violated the 1985 agreement and that deed restrictions were never updated as required by Florida’s Marketable Record Title Act. An injunction was filed against Destremps and Jolly in 2015 after the two men removed $1.6 million from an APV account and placed it into an account that only they had access to. The majority of the money was later recovered. For more than two years, FOPV had been fighting APV in courts. Laytham said the association likes to tout its community events like the Poinciana Beautiful Gala as well as infrastructure upgrades at Vance Harmon Park and the recently constructed Mary Jane Arrington Gym and Aquatic Center. But he said the HOA only recently started providing those amenities. As for FOPV, Laytham said it has been contacted for guidance and is working with residents of four other homeowners’ associations that are having similar problems in their communities. Laytham said his group has been invited by State Rep. John Cortes, D-Kissimmee, to speak in Tallahassee about the need for HOA reform.